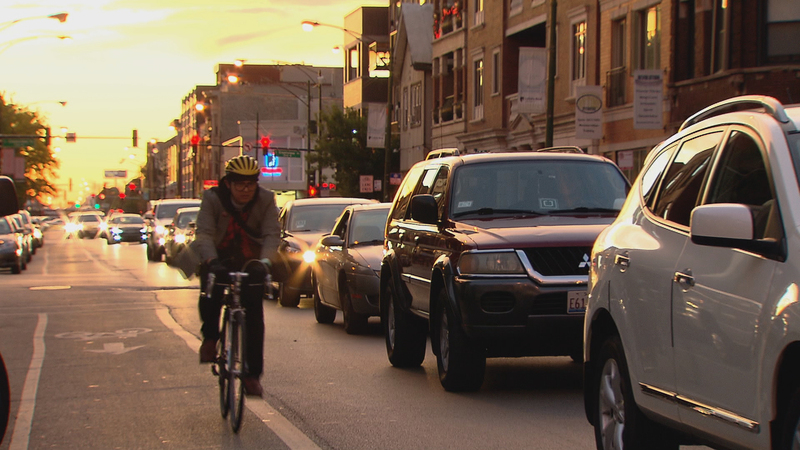 WTTW reports that Chicago will expand bike share to all parts of the city, using a portion of its .5 million Bloomberg Philanthropies grant to reduce greenhouse emissions. Michael Lewyn reviews – or conveys his take-away – Daniel Kay Hertz’s book The Battle for Lincoln Park. 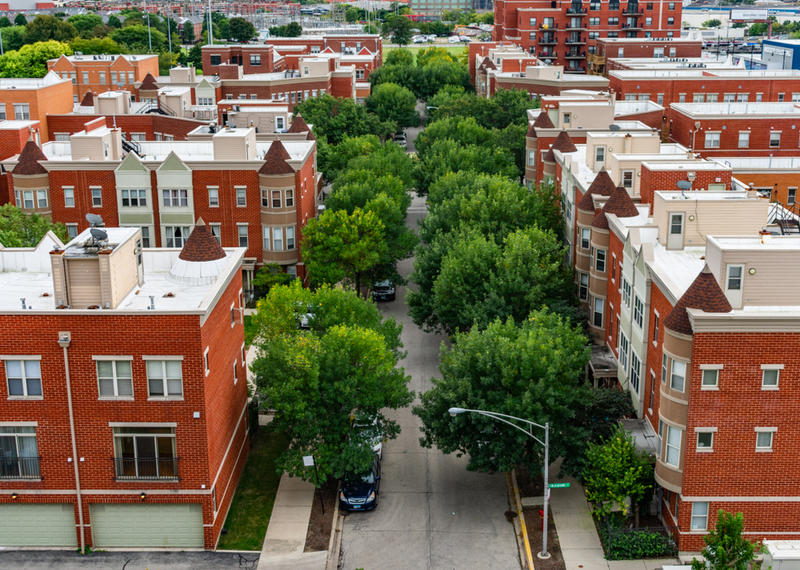 The book chronicles the neighborhood gentrifiers suppression of density in the neighborhood. Lewyn pegs that suppression as the primary cause of displacement of the prior working families. A recent study reveals that Chicagoans of color more likely to be exposed to environmental toxins. See article link above. David Childs of Skidmore Owings & Merrill designed a tw0-tower project on behalf of Related West for the Spire site. 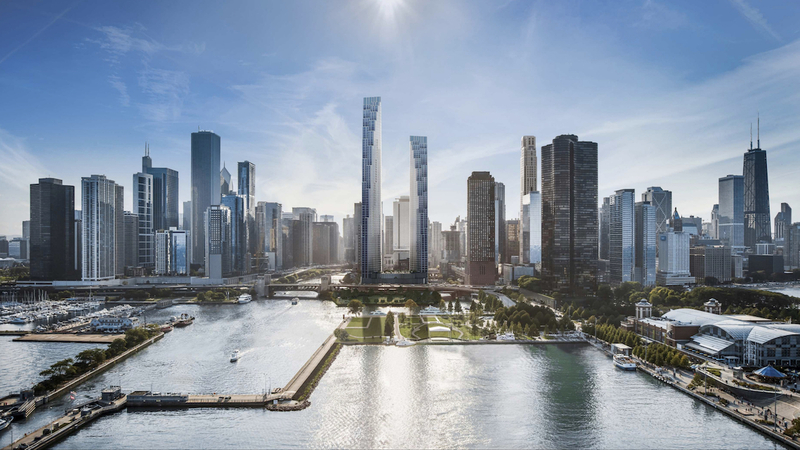 Representing the Streeterville neighborhood of Chicago’s 42nd ward, Alderman Brendan rejected the design at 400 North Lake Shore Drive because of the height and bulk of the podium, a hotel use, and traffic concerns related to the location of the primary entrance. See the article in Arhcitects Newspaper for the full story. 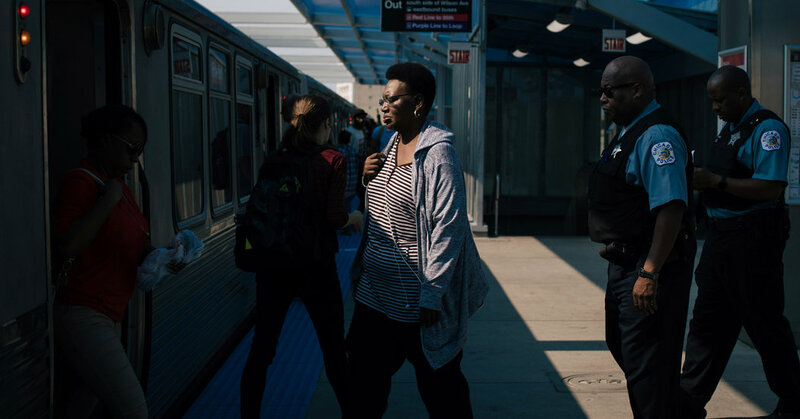 A New York Times article says “it helps to have a transit- loving mayor” in lauding, actually envying, the improvements and upgrades of Chicago’s L vs the similar vintage NYC subway. As Hoffman Estates officials monitor the tenuous future of its largest employer, Sears Holdings, a New Jersey developer said it’s still moving forward on a massive mixed-use project 5 miles east of the troubled retailer’s headquarters in the northwest suburb. An email exchange between CDOT and the bike and station manufacturer indicates the theft problem was caused by the short-sighted decision to remove a key part from the docks. Sensible, humane labor, housing, health, and education policies and efficient, democratic transportation systems go hand-in-hand.